Adam Gutierrez planned to graduate from UW and start a family. All that was shattered May 10 when he was fatally shot in Federal Way while walking his dog — one of three men to be killed in a 48-hour span. Adam Gutierrez was a planner. He dreamed of attending the University of Washington, getting a job and starting a family with his wife, Marianne. After leaving the Navy in 2014, he set out to meet his goals, reacting with excitement when he was admitted to the UW. He took classes in 2015, studying electrical engineering. Crime Stoppers of Puget Sound Hotline: 800-222-TIPS (8477), or submit a tip through their website at crimestoppers.com or provide information via safecityfw.com. Crime Stoppers is offering a $17,000 reward for information leading to an arrest in the Adam Gutierrez case, of which $16,000 is from private donors. Crime Stoppers is offering a $1,000 reward for information leading to an arrest in the homicide of Frank Cohens Jr., as well in the cases of Alex Kelley and a fourth man, Jeffrey McLaren, who was slain on April 3, 2016. “We were just excited for the future,” said Marianne Gutierrez. 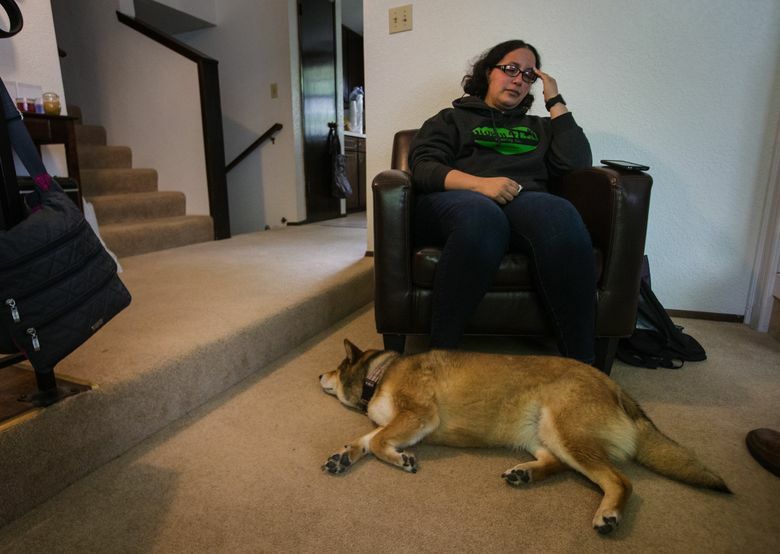 All that was shattered late on the night of May 10, when Gutierrez was shot and killed in Federal Way while exercising his dog, Luna. He was 30. His slaying remains shrouded in mystery. No arrest has occurred; no explanation has emerged of the circumstances. A public funeral service for Adam Gutierrez will be held at Christ’s Church, 941 S. Dash Point Road, Federal Way, at 10 a.m. May 26. A graveside service, also public, will follow at Tahoma National Cemetery, 18600 S.E. 240th St., Kent. Moreover, it was one of three unsolved homicides in Federal Way during a 48-hour span last week, putting its residents on edge. All the victims were young men; all were shot. Federal Way police have made the cases their top priority. Marianne Gutierrez, meanwhile, is left to wonder what happened to her husband — “no one knows,” she said — and reflect on the person she first met in 2009 and found to be a “good man” even before their relationship evolved from a friendship to romance. They had a lot in common. They shared the same values. “Family was a big one” for Adam, along with abiding belief in the “golden rule” and being “kind to others,” she said. 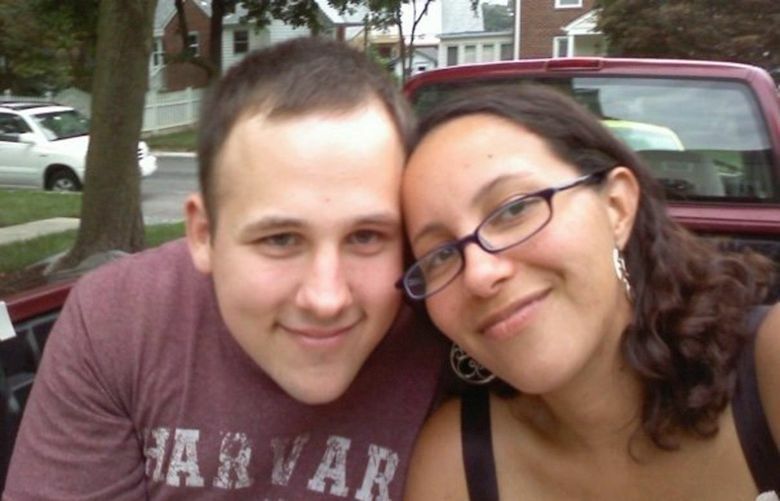 Both came from biracial families, something later enjoyed in group photos taken at family gatherings. Adam’s father was Mexican-American; his mother of partial German background. Her mother was black, her father white. “Something to talk about,” Marianne, 33, said in an interview this week with The Seattle Times. Adam had been born in Bellevue and spent part of his early life in California after his father, who served in the U.S. Coast Guard, took the family there. The family eventually settled in Federal Way, where Adam attended schools. As a child, he played baseball, developing a passion for the game. “He loved baseball and he was obsessed with the Mariners,” said Marianne, a non-sports fan, recounting how he cheered and clapped alone while watching or listening to games. He also played video games from early on. “He was kind of a big nerd,” Marianne said, recalling his smarts in math and science. In junior high, he and a friend were the only two members, for the first year, of a computer club that met before school. Teachers would pull the two out of class to fix a computer problem in another room, Marianne said. Out of high school, uncertain of what he wanted to do, Adam joined the Navy in 2004 knowing he eventually wanted to go to college, she said. He underwent training, then was stationed in Norfolk, Va., serving on an aircraft carrier. 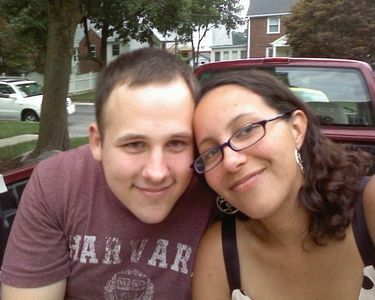 Adam and Marianne met in Virginia in 2009 through a mutual friend. His combination of pale complexion, blue eyes and dark hair made her curious about his last name. 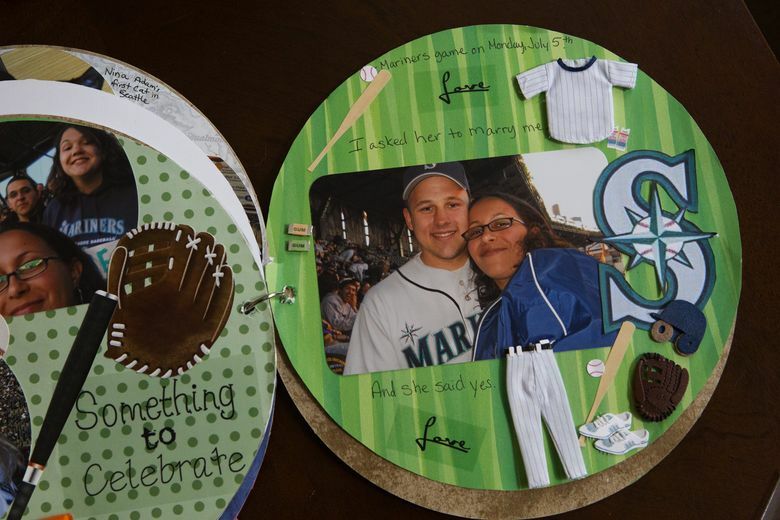 They married in 2011, after he awkwardly dropped to his knees and proposed during a trip to Seattle, at a Mariners game with family members there to witness the moment. She insisted on a wedding where she grew up in Madison County, Va.; it was the trade-off for his absolute desire to eventually return to the Federal Way area. In 2012, the couple moved into a house in northeast Tacoma, near the Federal Way boundary. Two years later, out of the Navy, Adam began attending classes at Highline College, then was accepted at the UW, where he had 14 months of school left when he was killed, Marianne said. In the days before his death, the two spent odd hours keeping up with their lives, Adam with his homework, Marianne in her job as a sign-language interpreter. She was asleep late May 10 when Adam went out with the dog. His habit was to run first on his own — lately to train for a half-marathon next month — because the dog couldn’t keep up with him, followed by a walk with Luna. Marianne thinks that is what Adam did that night. She woke about 1 a.m. and assumed Adam was studying. She looked around the house and called his name, with no answer. She texted him and got no response, finding that odd but thinking he might be running. “Then I called and he didn’t answer,” Marianne said. Through GPS, she traced his cellphone to a few streets away, drove there and saw police. She didn’t think their presence had anything to do with Adam; she thought he had just lost his phone as she spoke to an officer. She knew that something was wrong. A detective or chaplain broke the news to her. Adam had been shot shortly after 11 p.m. in the 1800 block of Southwest 356th Street, just inside Federal Way’s city limits, and died at the scene. The day before, at 1:01 a.m. Monday, Alex J. Kelley, 26, of Seattle, had been fatally shot while smoking on a porch at a Federal Way apartment complex. About 24 hours later, at 12:17 a.m. Tuesday, Frank Cohens Jr., a Tacoma man, was found slumped over in a parked car in Federal Way. He died of multiple gunshot wounds. Federal Way police have increased patrols and added staffing in their detective unit, a spokeswoman said. Investigators are working with the King County Prosecuting Attorney’s Office, the federal Bureau of Alcohol, Tobacco, Firearms and Explosives, the Washington State Patrol and Tacoma police. Marianne worries all three homicides might be related; the police say they don’t know, but aren’t ruling out any possibility. She wants justice to be served. “He was a sweet, caring man,” Marianne said. With his forward-looking approach, she said, he would want her to carry on with her life. “The anger will come, I’m sure,” she said.